Be more mobile with a folding rollator that won't break the bank. 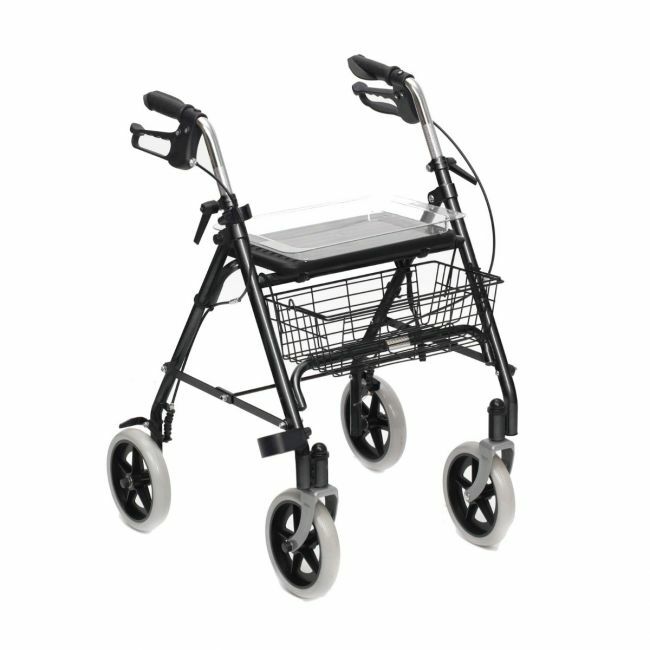 This folding walking frame with tray and basket makes it easy to enjoy travelling from A to B. The lightweight steel frame folds down in seconds to a fraction of its original size and easily fits in the boot of a car, ideal for holidays and days out.